Dr. Jenny Ploeg began with the School of Nursing in 1988 as a Clinical Lecturer. She is currently a tenured professor, a graduate faculty member, Scientific Director of the Aging, Community and Health Research Unit, and an associate member of the Department of Health, Aging, and Society. Markle-Reid, M., Ploeg, J., Fraser, K., Fisher, K., Bartholomew, A., Griffith, L., Miklavcic, J., Gafni, A., Thabane, L., Upshur, R. (2017). Community program improves quality of life and self-management in older adults with diabetes mellitus and comorbidity. Journal of the American Geriatrics Society, online publication, p 1-11. doi: 10.1111/jgs.15173. Ploeg, J., Matthew-Maich, N., Fraser, K., Dufour, S., McAiney, C., Kaasalainen, S., Markle-Reid, M., Upshur, R., Cleghorn, L., Emili, A. (2017). Managing multiple chronic conditions in the community: A Canadian qualitative study of the experiences of older adults, family caregivers and healthcare providers. BMC Geriatrics, 17, 40. doi: 10.1186/s12877-017-0431-6. Innovative Community-Based Approaches to Promote Optimal Aging for Older Adults with Multiple Chronic Conditions and their Caregivers. Ploeg, J., Markle-Reid, M. (PIs), Bournes, D., Anderson, C., Farrell, M., Paetkau, S., Akhtar-Danesh, N., Baptiste, S., Bender, D., Duggleby, W., Emili, A., Feldman, S., Forbes, D., Fraser, K., Gafni, A., Ganaan, R., Garnett, A., Ghosh, S., Gibson, M., Griffith, L., Gruneir, A., Hirst, S., Kaasalainen, S., Keefe, J., Matthew-Maich, N., McAiney, C., Patterson, C., Peacock, S., Rojas-Fernandez,C., Sadowski, C., Triscott, J., Upshur, R., Valaitis, R., Williams, A. CIHR, Community-Based Primary Healthcare Team Grant. April 2013-April 2018, $2,500,000. Centre for Research in Community Interventions to Promote Optimal Aging at Home. Markle-Reid, M., and Ploeg, J. (PIs), Bender, D., Forbes, D., Fraser, K., Gafni, A., Ganaan, R., Griffith, L., Gruneir, A., Kaasalainen,S., Matthew-Maich, N., McAiney, C., Patterson, C., Rojas-Fernandez, C., Taberner, C., Thabane, L., Triscott, J., Upshur, R., Valaitis, R., Williams, A. Ministry of Health and Long-Term Care, Health System Research Fund Program Awards. April 2013-April 2016, $3,265,903. The Impact of Caregiver Support Interventions for Vulnerable Populations. Markle-Reid, M., Ploeg, J., Valaitis, R. (Co-PIs), McAiney, C., Ganaan, R., Duggleby, W. Ontario Ministry of Health and Long Term Care, $300,000. April 2016-March 2017. A Pragmatic Trial to Evaluate Hospital-to-Home Transitional Care Intervention Compared to Usual Primary Care for Older Adults with Multiple Chronic Conditions and Depression. Markle-Reid, M., McAiney, C., (PIs) Price, D., Valaitis, R., Ploeg, J., Fisher, K., Kates, N., Lavis, J., Cairney, J., Thabane, L., Gafni, A., Vedel, I., Reid, R., Warry, W., Neufeld, E., Johnson, B., Heald-Taylor, G., Ogden, L. Ontario SPOR Support Unit Home & Community Care, February 1, 2016-June 30, 2018. $1,020,000. The Neighborhood Team Development Program: Promoting Resident Centeredness in Long-Term Care. Boscart, V., Sidani, S. (Co-PIs), Heckman, G., Ploeg, J., Dupuis, S., d'Avernas, J., Harvey, D., Neves, P. CIHR Operating Grant. October 2014-September 2017, $666,972. Dr. Ploeg’s primary research interests include evaluation of community health services for older adults and their caregivers; best practice guideline implementation, sustainability and spread; and qualitative, quantitative and mixed methods research. 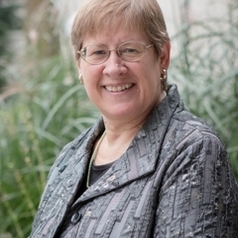 She has led numerous studies involving the design, evaluation and translation of innovative health promotion programs. In 2013, Dr. Ploeg, Dr. Markle-Reid and an interdisciplinary research team of investigators, clinicians, trainees and collaborators from across Canada, were awarded a combined $5.8 million to fund the new Aging, Community and Health Research Unit (ACHRU). The research program is funded by the Canadian Institutes of Health Research Signature Initiative in Community Based Primary Health Care ($2.5 million over 5 years) and the Ontario Ministry of Health and Long-Term Care to develop and evaluate innovative, community-based primary health care interventions to promote optimal aging at home for older adults with multiple chronic conditions and to support their family caregivers. Seven interrelated studies set in Ontario and Alberta are using quantitative, qualitative and mixed methods designs to target older adults with multiple chronic conditions who have dementia, Type 2 diabetes and/or vascular conditions. The research unit offers an exceptional capacity building strategy for trainees. An integrated knowledge translation strategy, with regular knowledge exchange events, is being used to share study results with key stakeholders and implement successful programs more widely. Dr. Ploeg’s teaching contributions are in both graduate and undergraduate studies. She supervises students in the School of Nursing Graduate Program and is Course Planner and Tutor in NUR 701 Theoretical Basis of Nursing Practice.